Home Blog Archive by category "Evaluation"
This blog attempts to quell any fears you may have concerning progress monitoring and assessment. Many parents and homeschoolers associate this with public school debates of state assessments and ‘teaching to the test’, but I assure you with proper facilitation, data collection is a useful tool and should shed some light on your teaching effectiveness, skill/knowledge acquisition, strengths to be reinforced, and weaknesses to focus on. 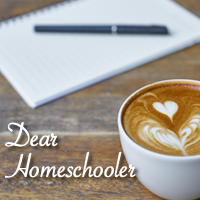 The good news is, as homeschoolers, we can choose how we evaluate our students (excluding, of course, your state requirements). Here I will endeavor to help you gather the information you need to help guide your instructional decisions. Who Is Learning From Assessments?